Citizen Science Excursions- Be part of the solution! Citizen Science is a new trend in ecology based coral reef and mangrove forest excursions. These experiences are perfect for the young and old eco-enthusiast with a need for more than the typical “Bob and Bake” cattle boat trip. Our citizen science trips include a 30 minute hands-on and “edutaining” reef and/or mangrove presentation, a full hour exploring coral reefs or mangrove forests, and two passionate IN WATER ecology guides to show you the wonder and joy of nature that you may have otherwise overlooked. Participants need to be decent swimmers (not gold medal athletes just comfortable in the water ;). 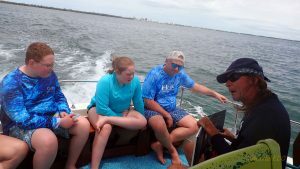 Best of all, participants are given instruction and follow up on some really engaging science activities such as fish identification, coral assessment, and fish surveys. All data collected is uploaded (via social media) where science organizations such as Mote Marine and Coral Restoration Foundation who use it for helping our coral reefs and mangrove forests. Its fun, rewarding, and most of all a way to give back to our beautiful planet! 9:00 till 1:00 $899/up to 6 guests! Capt Trish shows one of our guests a sea cucumber. Did you know they are shape shifters? As water ecology guides, we are not happy until you see what all the fuss is about. No more than 2-6 guests per boat, guaranteed! Also included, a complimentary eco-friendly, reusable souvenir water bottle. And plenty of healthy snacks including fresh fruit, cheeses, and fresh spring water. Of course, always visiting comfortable and safe destinations that we hand pick for calm conditions, abundant ecology, great science, and few people! “One-on-One” in-water instruction for timid swimmers. All citizen science excursions include a 30 minute ecology presentation of which we are quite proud. Basically, we have condensed 12 years of acquired knowledge into a short presentation complete with anecdotal stories, props, and visuals. Its fun, informative, and complements your time with nature. We absolutely love what we do and invite our guests to learn as much about us before booking. As a result, Namaste ECO is proud to support the tenets of sustainable tourism which is crucial in the responsible use of our precious marine resources. For current information and pictures of our most recent excursions we invite you to visit our Facebook Page and check out our reviews on both Yelp and TripAdvisor. Each trip includes a 30 minute reef presentation presented by our professional guides and captains who are well versed and educated in coral ecology, species identification, and positive coral interaction. We never take any more than 2-6 guests at a time to the reef. Our staff to guests ratio is about to 3 guests per staff member. 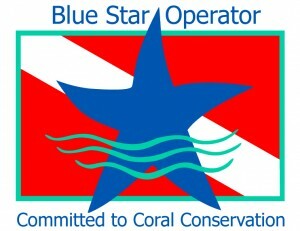 The more trained staff in the water, the better the experience for our guests as well as the coral reef. From the use of carbon reduced fuels like Biodiesel to reef friendly sunscreen, Namaste’ ECO humbly promotes low impact reef encounters. Namaste’ ECO actively supports coral restoration programs like Coral Restoration Foundation and Mote Marine. 5% of all annual sales are either donated directly to these organizations or Namaste ECO donates time, personal, and resources. 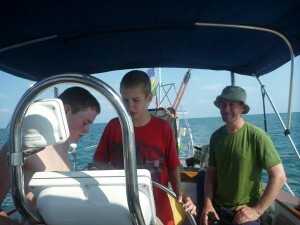 Need more information on Key West Snorkeling Tours? 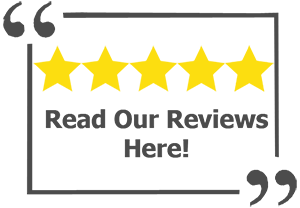 Thumbs up for another great experience with us! Whether you choose us or another tour provider we encourage to browse our site. The following information may prove useful in planning for the perfect day on the water. 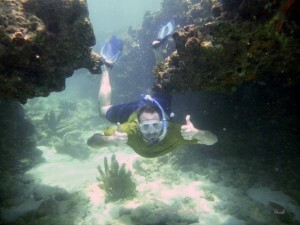 There are basically three choices for snorkeling excursions in the Florida Keys. Cattle boats are a very popular choice because they are inexpensive and provide free beer. The average cattle boat holds anywhere between 20 and 150 snorkelers and will cost you anywhere between $40 and $95 per person. Cattle boats will take you out to the most popular destinations which are saturated with up to 150,000 snorkelers per year (not so good for the reef). 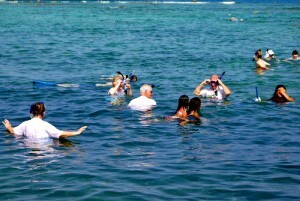 Once there, you will encounter some reef fish, a few patches of live coral, and up to 250 other snorkelers. You will be allowed to snorkel for about 45 minutes, after which someone will blow a whistle and herd you back to the boat (hence the term cattle boat). If this your idea of a fun time, then by all means enjoy! The private charter is a great way to see the reef but can be a bit cost prohibitive, especially if there are less than 4 people. The boats range in size from 28 to 50 feet, and they typically serve good food and beverages. With a little advance knowledge and favorable weather, you can usually persuade your captain to take you to some of the better “locals only” reefs which are really nice. You will experience lots of fish, lots of healthy live coral, and most of all, no crowds kicking you in the face. Some captains and mates will accompany you in the water and, if you’re lucky, will point out some of the really cool reef creatures. Of course, we have saved the best Key West snorkeling for last. Yes, we are heavily biased about our product, but after 10 years of running eco excursions in Key West, we have good idea of how to do it right. First, unlike the cattle boats, we are not the cheap seats. We provide an excellent experience and must charge accordingly. Our business model is based entirely on the merits of sustainable tourism. Our guests share our philosophy and are happy to pay a little extra to insure that their experience is crowd free and the least stressful on themselves as well as the reef. We have three main excursions that start at $129/guest. 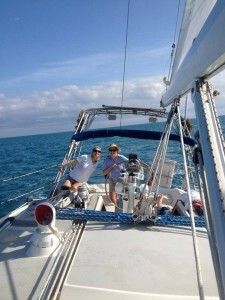 For your investment you will get a high quality experience that far exceeds anything else available in the Florida Keys. That is the truth. Check out our Facebook posts, Read our TripAdvisor reviews (both good and bad). Better yet, call us directly. Well informed guests are always the best! The best and most colorful reefs we travel to are the secluded offshore barrier reefs. As a result, these reefs are anywhere from 4 to 12 miles from our location on Stock Island. 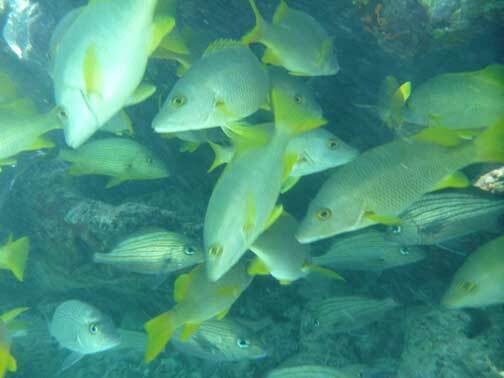 Barrier reefs are accessible and safe on calm days (winds less than 15 mph). Near shore destinations feature calmer conditions which makes for easier snorkeling. Near shore excursions tend to favor the smaller patch reefs and mangrove estuaries. For a guaranteed spot, book well in advance (Early planning will go along way to guaranteeing a spot on a offshore trip). When booking, pick the earliest date you can go out and leave later dates in reserve in case we need to reschedule. Most importantly, know the weather! Starting in late April and ending in early October we are blessed with many days of light wind, calm seas and an occasional afternoon thunderstorm. Due to these conditions, we can offer great coral viewing and comfortable snorkeling conditions. In addition, the water temperature is as good as it gets during the summer season. 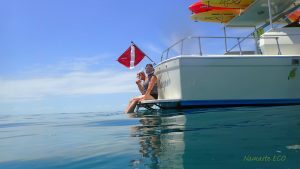 However, starting in late October the weather starts to change and planning offshore snorkel excursions becomes more problematic. Our cold fronts don’t really drop the temperatures too much, but they do increase the seas and stir up our normally “gin clear” water. For this reason we plan for the passage of theses cold fronts. On days when the wind and seas are higher, we absolutely will not put you in at the offshore barrier reefs. Quite honestly, on the rough days, offshore snorkeling is not an experience we would choose for ourselves, much less our paying customers. On the days when offshore conditions are not conducive to a comfortable experience, we will opt for our inshore destinations which include inshore patch reefs, mangrove estuaries (natural fish nurseries), and inshore mangrove lakes. Or, cancel your reservation with a full refund. What makes us and our tours so special? Because we are very proud of our excursions, we give 150% to all our guests. 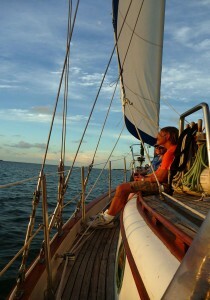 In addition, the captain and crew are self-admitted “reef geeks” and proud of it. We love sharing our passion, and if authentic coral discovery is your thing, then we certainly have just the trip for you. We specialize in accommodating novices and are very adept with folks who may be a little skittish with the challenge of aquatic adventures. Each trip is customized based on what we see and hear from you. If the weather is not right for a trip, we work with you and plan around your schedule so that you see the reef on an optimal day. We never put anyone out in bad conditions. For us, the bottom line is not the money in our pockets, but the smiles we see at the end of the day.